KNIGHT FRANK IS A REAL ESTATE AGENCY MAKING THEIR MARK ON THE GLOBE. 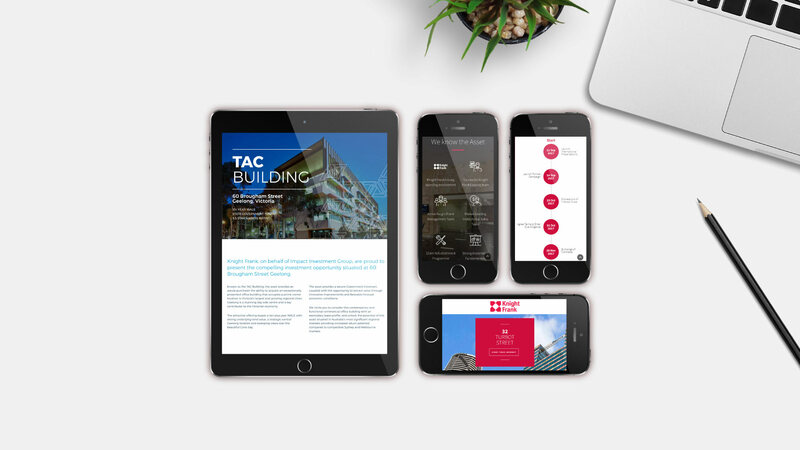 After seeing the proposal system we had crafted for another client, the Brisbane branch of Knight Frank approached us to create their own bespoke proposal system. They had a few leasing and marketing proposals in which they really wanted to make a good impression. That’s where we came in. 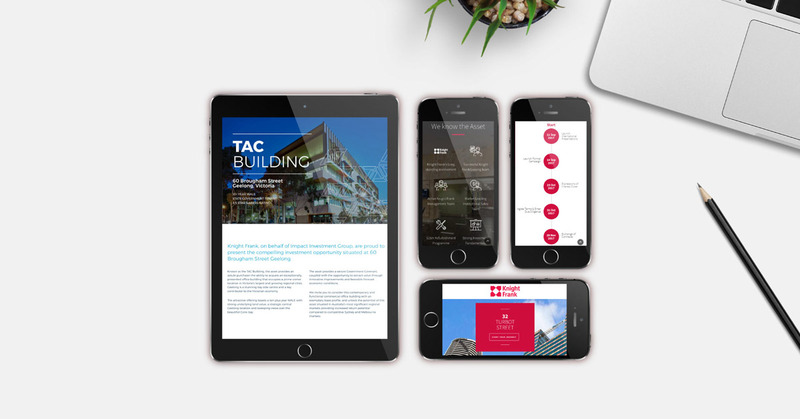 To make an impression in today’s age, your proposal really has to stand out, and when proposals have traditionally been in either a printed or PDF format, upgrading to an online platform is not only quicker and easier, but more dynamic. We built them 3 different proposal sites, each with their own domain, and locked down to ensure security and privacy. Once logged in, the difference between a PDF proposal and an online one becomes clear: the ability to use animations and scrolling parallax effects definitely makes you go ‘Wow!’. Each of the proposals was for a different building, and as such each had different requirements. We worked closely with Knight Frank to ensure the branding and imagery was on point for each, while adding the Ronin touch through well-designed illustrations and animations. Each proposal is a one-page design, with each section instantly navigable via the menu. This made it easy to access whatever information was needed without having to scroll through multiple pages. We also designed attractive track record sections and created an animated timeline to keep the reader engaged throughout the site. Feedback has been excellent, as the digital platform has been a much more engaging way to reach their market. IT HAS BEEN A PLEASURE WORKING WITH RONIN, THEY HAVE BEEN VERY GENEROUS WITH THEIR TIME AND ARE ALWAYS THINKING AHEAD WHEN PLANNING THE EVOLUTION OF OUR DIGITAL PRODUCT. THEY UNDERSTAND WHERE WE ARE, WHERE WE WANT TO BE AND HOW THEY CAN HELP US WORK TOWARDS THAT.